Cascais is a pretty coastal town around 30 km west of Lisbon. Being only 35 minutes from the airport by car, it is more than accessible to tourists. The town is encased by the beautiful wild Atlantic coastline and the incredible Sintra National Park. The park offers great cycling routes and sites such as castles for families to enjoy. We stayed in the nearby Martinhal hotel. Located a ten minute drive from the centre, it is a little secluded. However there is plenty to do on site as a family, they rent bikes and have easily accessible and affordable transfers. 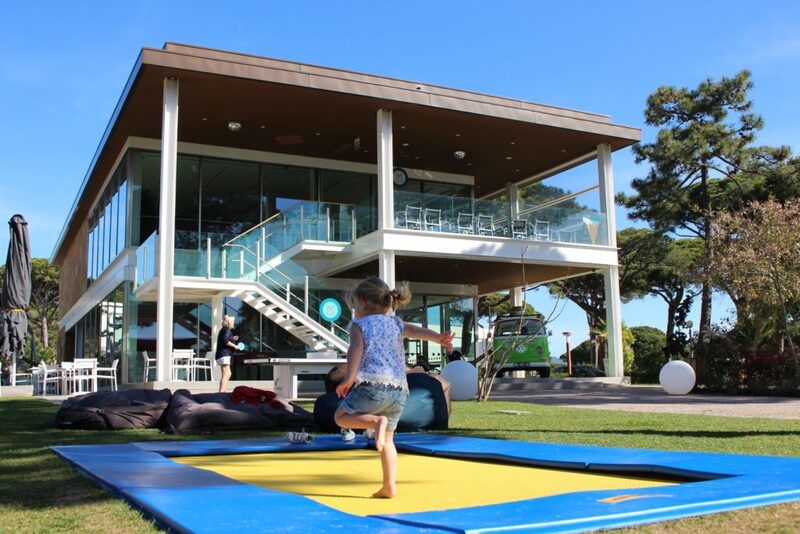 This write-up is a review of Martinhal Cascais Family hotel. Martinhal Cascais is a five star luxury hotel that offers both villas and rooms for families. Their aim is to ensure luxury is not sacrificed by the fact it is a family hotel. I have to say they really achieve it. 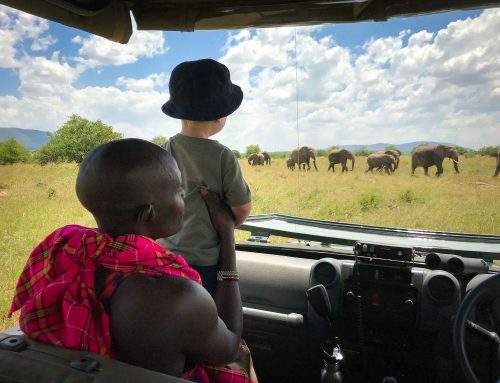 There are not many hotels you can go to where both parents and kids feel equally as satisfied with their surroundings. It’s usually one or the other. 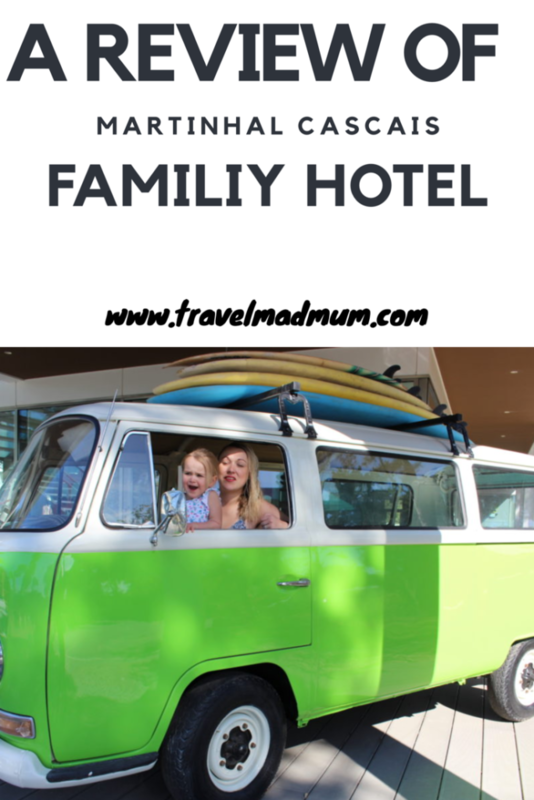 I am going to be totally honest and say, I usually hate going to family hotels because I find the emphasis on kids too much. The parents are forgotten about almost. Martinhal completely changed my perspective on this, both at the Cascais and Lisbon properties. It was refreshing to say the least. Another thing about this hotel chain is they really have ‘easy’ travel in mind for all their customers. 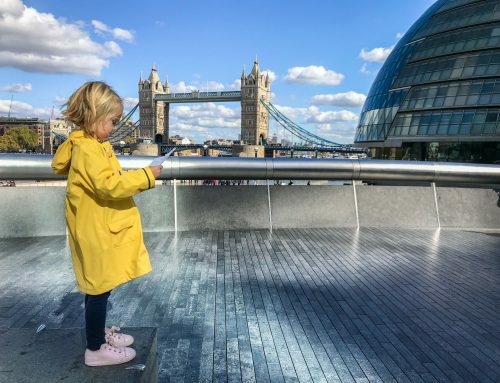 When a hotel offer a free baby concierge with items such as sterilisers and nappies, to potties and bed rails, you know its going to be a straight forward trip! With two onsite restaurants and a cafe, there are plenty of options if you don’t want to venture too far. 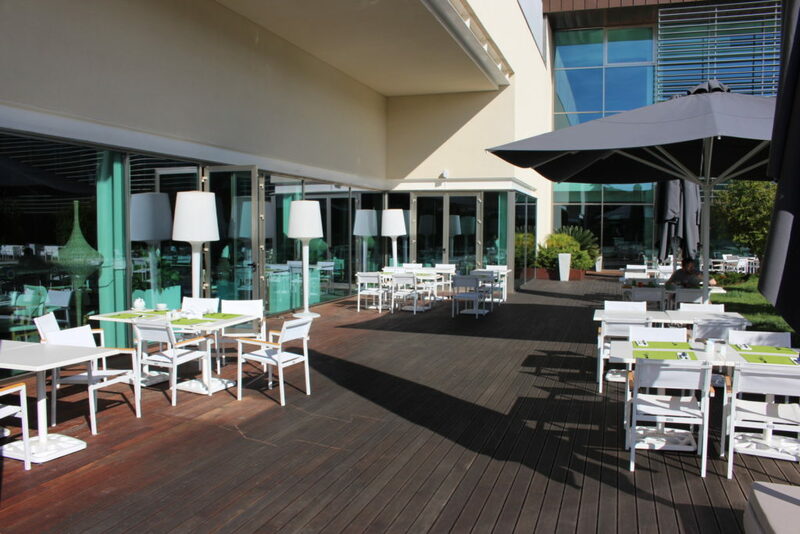 Buffet breakfast and Portuguese inspired dinners are served at the O Terraço restaurant. Whilst Italian inspired lunch and dinner is available at Os Gambozinos restaurant. The buffet breakfast has a wide selection of items from pastries, breads, yoghurts and fruits, to warm foods, such as sausages and cooked-to-order eggs. Kids are given their own special crockery and they even have an area where they can go and play that is supervised by one of the child minders. You know how it is with kids, they are all done within a few minutes whilst you are still wanting to drink your coffee. Martinhal has their very own mascot ‘Rasphino the Fox’ that comes and visit the kids in the morning to say a quick hello. I have to admit with our daughter being a terrible eater, it was a little bit of a distraction but she really loved it and got so excited! I think the trick is to get to breakfast before he arrives at 9am. When it comes to food for the kids, their menus are great. They even have freshly made baby food. How awesome is that? I have images of asking for potato and carrots in other hotels and then mashing it up myself. I also think parents of kids with allergies have a really hard time wondering if its worth the risk of travelling with their little ones. All the allergens in every meal are clearly listed. I think all of these little things really make the travel experience stress free. We loved having the option of a child-free meal. The free onsite childcare was incredible and Esme loved being there so it was guilt-free. It was super chilled and relaxing sitting on the patio eating yummy Italian food at Os Gambozinos. As previously mentioned Martinhal Cascais have a variety of room sizes and villas. 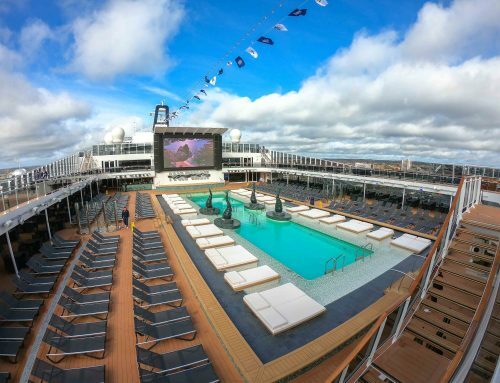 They are all spacious and super luxurious. For bigger families, there is an option of conjoining two rooms. We however, stayed in a ground floor room. 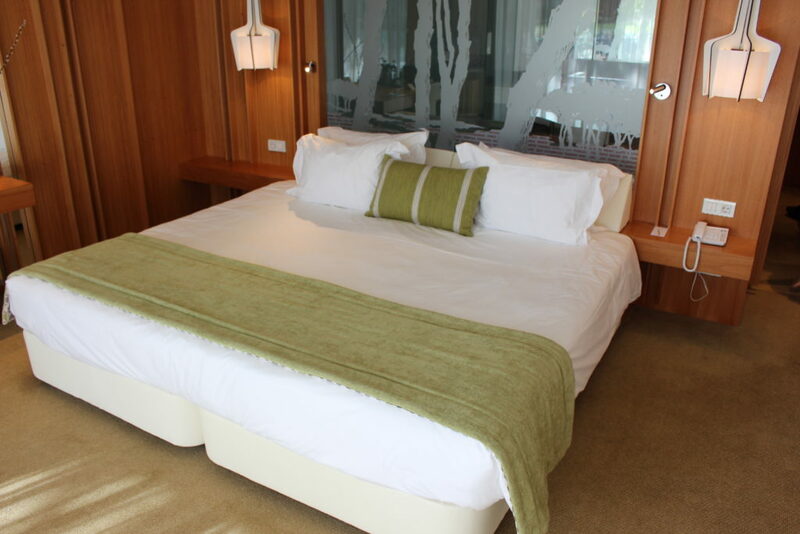 The bed was massive, even bigger then our super king at home! Esme had her own little bed within the room and I understand there are fold out bunks for any additional kids in other rooms. We had a pretty little terrace with garden furniture and a nice grass patch that Esme could run around on whilst we were chilling. The bathroom was massive, nearly as big as the room. Equipped with a beautiful walk-in shower, a bath, separate toilet and a two sinks for us to use. There were no arguments about who was going to brush their teeth first. Of course, we all had a bath robe. How cute is it they had a toddler one? 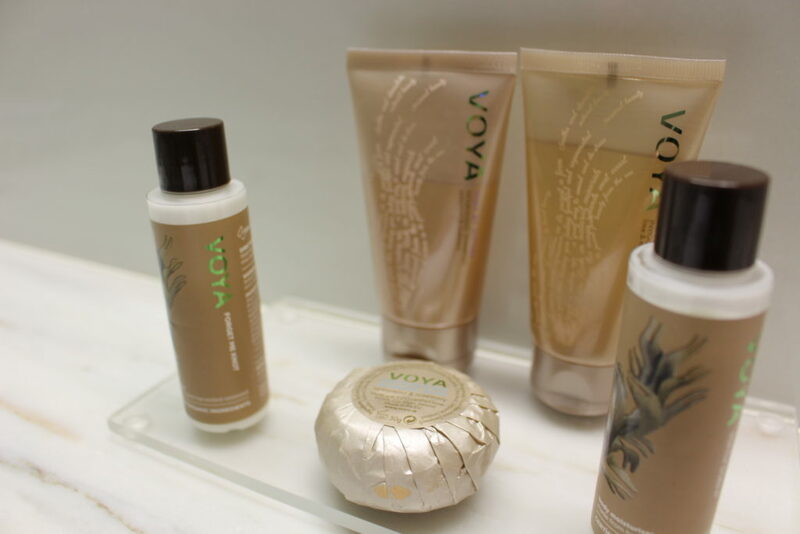 All three of us were also given flip flops and really luxurious organic toiletries made by Voya. With a fusion of rosemary and mint, they felt so lovely and tingly on my skin and I promise there is no bias with it being an Irish product! Where do I start with this section? There is so much for everyone to do! Lets break it down into kids, family and parent only activities. Esme’s favourite was by far the secure playground in the ‘kids corner’. It comes fully equipped with a trampoline, a massive bouncy cushion, sand pit, slides and swings. There are also giant bean bags dotted around for parents to sit on whilst the kids are playing. Not to mention M Bar that looks down onto the playground. They serve an array of light snacks and drinks that can be enjoyed whilst keeping an eye on the kids in the playground. Within ‘kids corner’ there is also a clubhouse that is staffed by many childminders who are all lovely with the kids. Little ones can enjoy an indoor play area as well as multiple daily activities such as arts and crafts, puppets and lego challenges. Separate to the main clubhouse is a room where babies are looked after. It’s a little more peaceful and tranquil. There are loads of things that can be enjoyed onsite or in the local area as a family. With three swimming pools, a football pitch and plenty of classes onsite, there is plenty to keep the family busy. 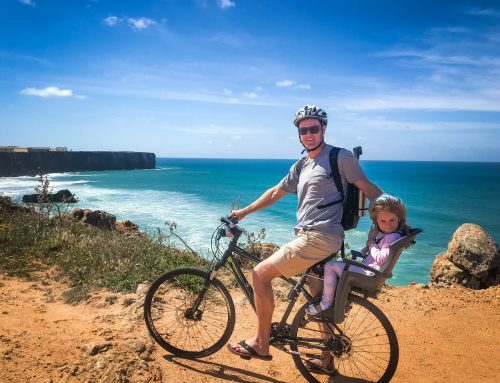 As previously mentioned, the hotel rent out bikes, they also have kids seats and helmets with great routes around the Sintra Park and along the coast. There are lots of cycle paths which is great. 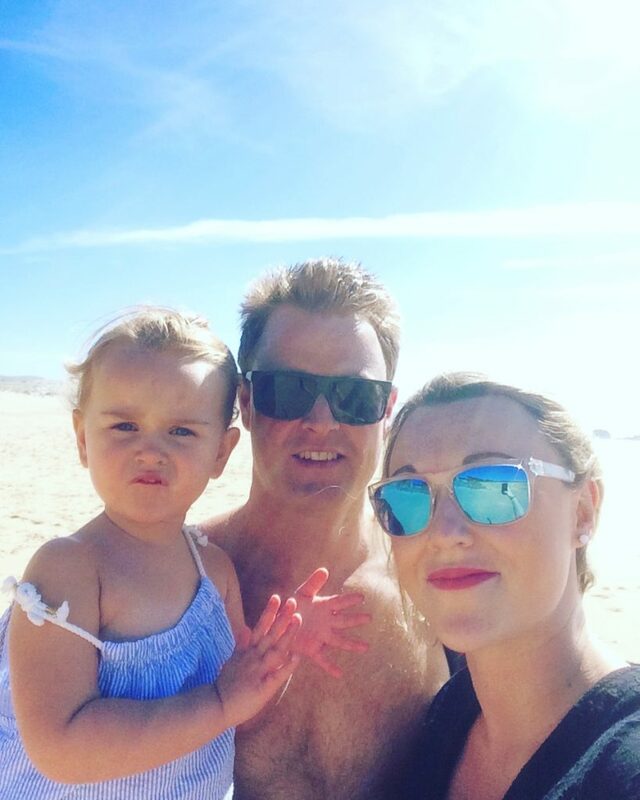 We spent some time exploring Cascais town as a family and also had a day on the beach which was lovely. The ocean was crazy though so we kept the swimming for the pool at the hotel. My absolute favourite ‘mummy time’ was in the Finesterra Spa. I had a pregnancy massage and it was total bliss. Everything from the aromas to the lighting and pressure of the massage was total perfection! They have a range of treatments and even offer pampering for mummy and daughters if thats what you’d like. 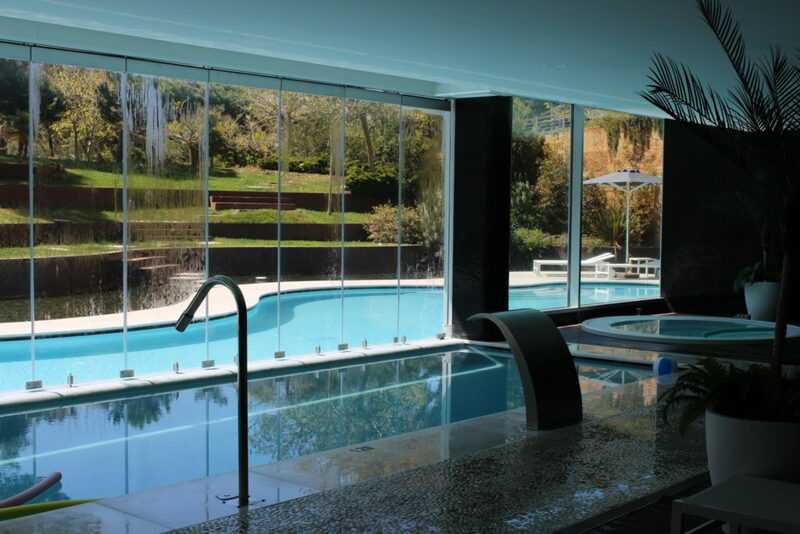 The spa also has a sauna, jacuzzi and steam room! Although I was generally too disorganised to be somewhere for a specific time, there were classes such as yoga and pilates throughout the week that I would have liked to try. Due to Martinhal location, its possible to visit some local vineyards. Again we didn’t get around to that but I think that’s because I am the wine lover and I was also heavily pregnant. So I would have been super depressed not having a good opportunity to sample all the local produce. If we go back, I will definitely go on a vineyard tour. 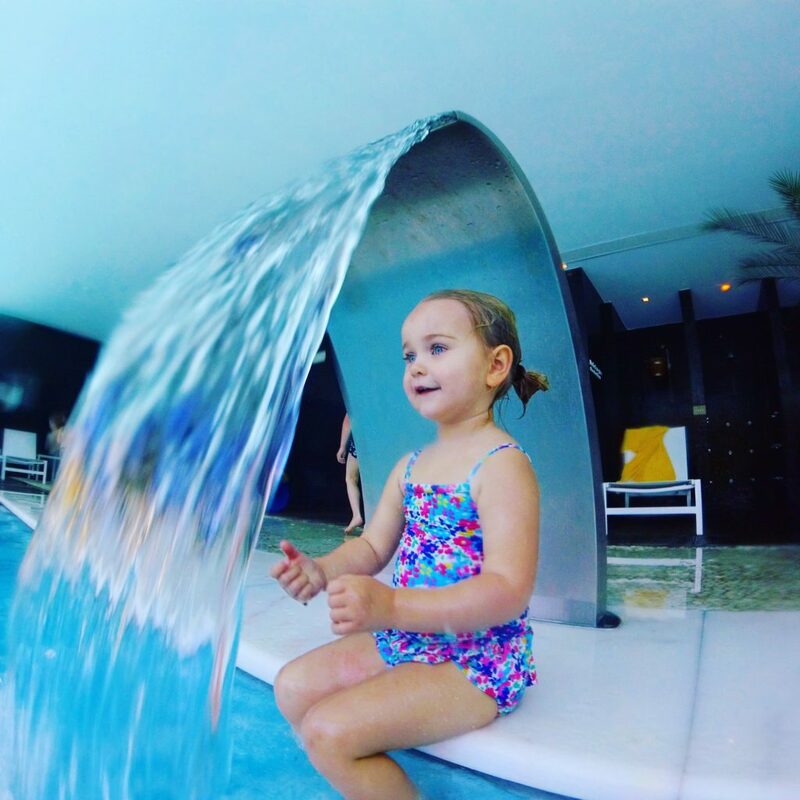 Have you found a review of Martinhal Cascais Family Hotel helpful? I love to hear from you. Leave a comment and I will get back to you as soon as possible. Disclaimer: Martinhal Resorts provided Travel Mad Family with a complimentary stay in return for a written review. All views expressed are my own and have not been influenced in any way. This page contains affiliate links. if you click the link and make a booking, your price will not be affected but we will receive a small amount of a referral fee for our travel piggy bank. Thank you for your support! Thanks for this great review. 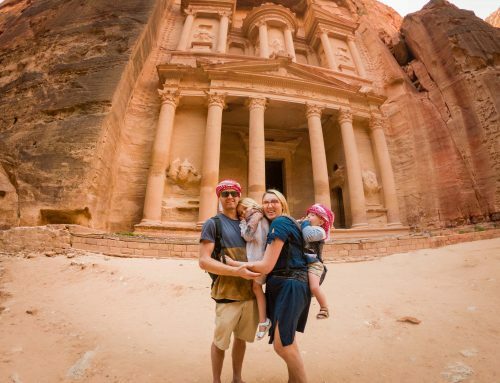 We are looking for a family holiday destination with 4 kids next year! It will be out first trip abroad from Ireland and this place keeps crossing my path! It’s a sign and your review has alimony seal the deal. How would you recommend booking? Direct or through an agent! Best of luck with your impending arrival! Love your blog.